One of Run. Coed y Brenin’s most innovative events has opened for pre-registration. 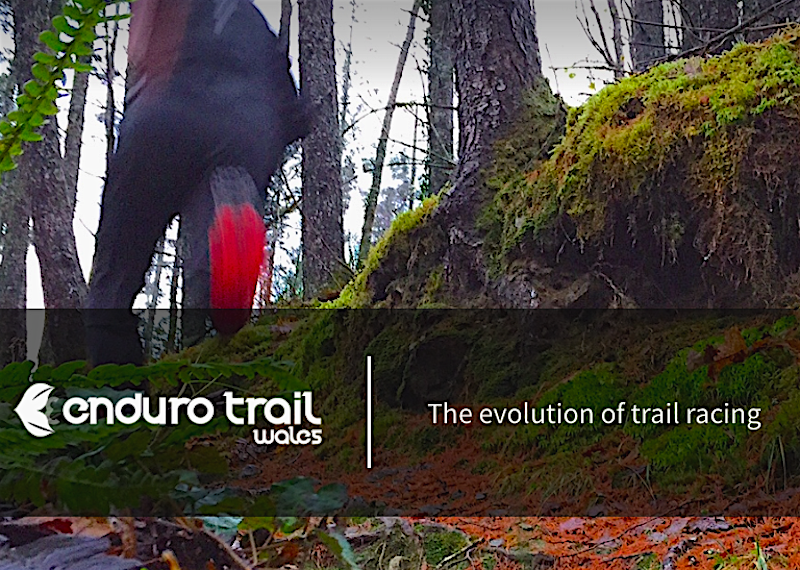 Advertised as ‘the evolution of trail racing’, Enduro Trail Wales is a new concept in trail running. It lends its philosophies from Enduro racing in the world of MTB, and this exciting new event underlines the vision of advancing trail running at Run. Coed y Brenin! The 2016 race will be a pilot event, restricted to a small number of runners, testing the concept and viability – with a view to rolling the concept out in 2017. This year’s race will be of around 15km in total distance, with 6 -7 Stages (up and downhill) between 0.5 and 1.0 km in length. Runners will set off in small groups and run to the first timed stage. The stages will be accessed by running a marked route between each stage which will be known as the Transition route. The stages will be clearly marked with a start and finish sign. The times achieved in all timed stages will be accumulated to give an overall time. The winner of the event will be the runner who has completed all these stages in the shortest cumulative time. “The enduro trail concept was something born in my head about 3 years ago actually, when enduro and gravity enduro racing in MTB really started to take off. The race will be very different to anything else we do at Run. Coed y Brenin. Runners will set off from the Coed y Brenin centre and transit to the first stage, run that stage as hard a they can, transit to stage 2, and so on. “There will be a good mix of undulating, uphill and downhill stages. There will be some steep stuff in there for sure, and runners will be visiting some of the best singletrack sections Coed y Brenin has to offer. “Applicants should also be aware that this will be a tough event, and tactics and energy conservation will be really important, as each stage will ensure that the runners are at their maximum, before moving on to the next via a transition”. Enduro Trail Wales is restricted to 50 competitors in 2016. Prospective runners will be selected after an initial application via a pre-registration, and should be aware that this year’s race is a ‘test event’. Runners who wish to apply should have completed a recognised trail race over 10k in distance over the last 12 months and be prepared for testing terrain. More event information is available via the Enduro Trail Wales webpage and prospective entrants will be asked to fill in a short registration form, which is now live via this link. From these initial applications 50 runners will then be asked to register for the event on 1st June.